The successful candidate will work in the area of Project Management and in conjunction with another Project Planner will report to the Operations Manager. He/she will assist in the development of project plans, driving, co-ordinating and tracking the progress of machine build projects and ensuring timely achievement of customer delivery deadlines. Ensuring information is readily available for prompt response to customer queries and project updates is a key aspect of this role. Third level business/engineering qualification with Project Management training. 1-2 years’ experience in a similar role, desirable. Strong leadership and organisational skills with the ability to manage multiple priorities. Self-motivated individual with a deadline oriented focus. Computer skills – MS Office applications, Microsoft project training an advantage. Assist in developing, driving and achieving the project plan for a number of machine build projects. Work with department leaders to develop project tasks, identify resource requirements, and set project targets and timelines. Lead a cross functional team (assembly, production, toolroom, electrical controls, automation, services) ensuring each area meet set targets. Identify, manage and support resolution of risks and issues throughout the project. Day to day management of all project delivery matters. Constantly monitor and deliver project progress results to the customer as required. Liaise and work effectively with internal departments ensuring that all inputs and requirements are considered. Project record maintenance including reporting on all project activity. Complete records and follow procedures in accordance with the Quality Management System. Ensure all duties are carried out adhering to health and safety policy. 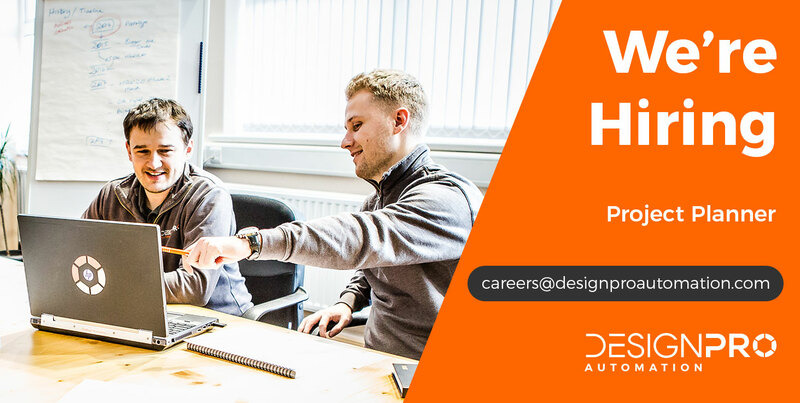 If you are interested in pursuing a career in highly progressive, dynamic and team orientated environment, please submit your CV to careers@designproautomation.com or contact the HR Department on +353 (0)69 63842 ext. 312 for further information. The closing date for receipt of applications is Friday 12th October, 2018. All rights reserved, DesignPro, 2018.